Dr. Conry was accepted into the University of Minnesota School of Dentistry and entered immediately after graduating with a degree in Psychology and pre-medical sciences from the University of St. Thomas in St. Paul, Minnesota. As a new dentist, she moved to North Dakota for an an unusual opportunity to open a dental clinic within the hospital of Cando, in Towner County. The closest specialists were over 100 miles away, so the needs she encountered demanded competency in most areas of dentistry, and skills developed rapidly. The practice grew quickly. Upon completing her contract, she accepted a full-time offer from Park Dental in Minnesota. While working there she began teaching part-time in the prosthodontic department of the dental school of the U of M. It was professionally rewarding to work with the third and fourth year dental students, who were always inquisitive and intellectually challenging. In the early 2000s, she moved to Duluth with her husband, pediatric dentist, Dr. John Conry and has enjoyed practicing dentistry here ever since. 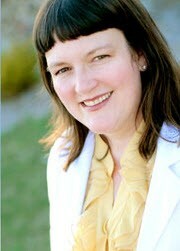 Her primary focus is on gentle, preventative, excellent dentistry, that exceed the expectations of her patients. General dentistry satisfies her broad range of interests, including surgery, implants, crowns, bridges, porcelain laminate veneers, and beautiful metal-free restorations, completed gently and carefully.